Lola and I had some girl time. We played. We read. We ran errands. 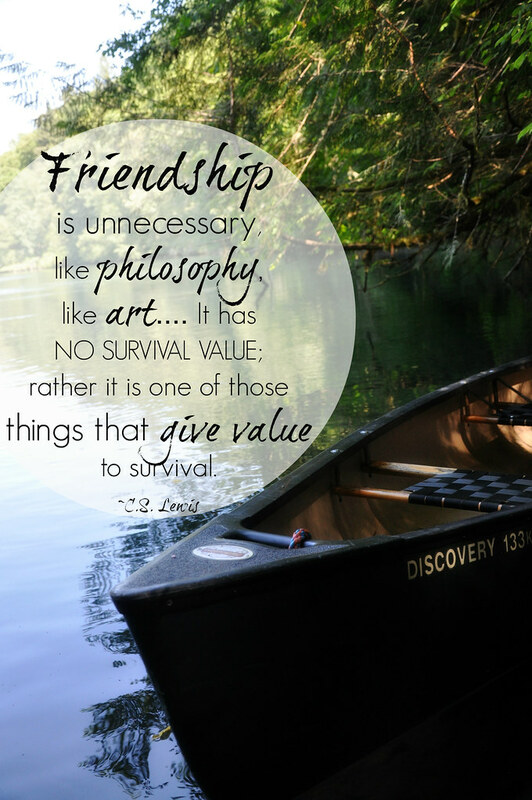 That afternoon, I met up with one of those friends for a few hours of canoeing on the lake. Her husband was willing to let Lola stay and play with their two girls at their house, so we were given the gift of time for thoughtful, edifying adult conversation as well. And Lola loved the girl play time! It was after this full day that I, once again, felt extraordinarily grateful and just plain steeped in happiness because I am blessed by such a rich community of friends and family. We may not be taking exotic vacations this summer, but our days are full of the bounty of summer and good friends. Boundaries blur and overlap as we see people in various activities. We spend Friday evenings in my sister’s garden, eating with friends, playing volleyball or tether ball, talking, roasting marshmallows, marveling over the sunset, and watching the kids play. 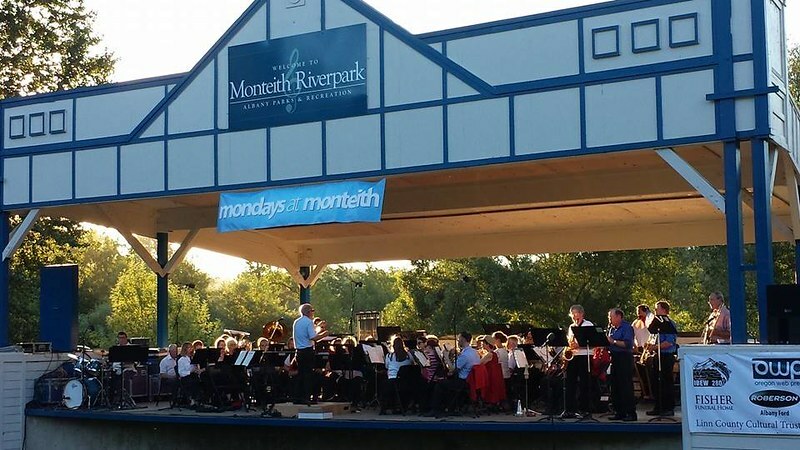 Monday evenings are spent at the free concerts in the park, where we sit with family and bump up against friends. Fourth of July weekend was spent, as is tradition, at our friend Bob’s house on Lake Oswego, visiting with many friends we see only once a year. Bob is part owner of the company Russ worked for in the Portland area about 8-14 years ago and we’ve maintained our friendship. It was fun to see the kids (twins) of the other owner, as well. We’ve watched them grow up since they were four years old—and they graduated this year! VBS is always a highlight of the summer. The boys usually participate at three different churches. This week is our home church VBS (or Kids Kamp) in the evenings. I took Holly’s place as a camp counselor on the first night while she was still on vacation, but I have the rest of the week off. Levi volunteers with the puppet crew. I spoke at two Classical Conversations Parent Practicums, and they are simply wonderful three-day parties full of information, encouragement, inspiration, and conversation. This week I had a chance to visit our local practicum for one day and listen to a guest speaker (whom I’ve had the chance to get to know a little recently). It was a blast getting to relax and soak it up instead of being in speaker-mode. And I made a few new acquaintances as well as visited with friends. After a long break, we had another Book Detectives meeting in the studio last week. The kids and parents seemed excited to get back in the swing of things. A new Hamlet study group is meeting in my studio this week for the first time. We are watching the movie version as an introduction, and then we will be going through the play in depth, a little at a time, over the course of the coming year. We have a big family wedding/reunion to attend this weekend and a birthday party the following weekend. Our Challenge A group (I love these people!!) is meeting for a BBQ/swim party/orientation the following week, and I’m hoping to get up to our favorite place in the world and spend time with family and close friends later that week, as well. Oh, and another book club meeting (my ChocLit Guild full of close friends and family that have been meeting for over a decade now!!). I think that takes us through July. August will be a blur. “An adventure is only an inconvenience rightly considered. An inconvenience is only an adventure wrongly considered." "I begin to suspect that the world is divided not only into the happy and the unhappy, but into those who like happiness and those who, odd as it seems, really don't." I have a couple links to share that go with our theme today. :: “Do you long to cultivate wisdom, truth, and beauty in your home? Do you desire to teach from a state of rest, to delight in your role as an intentional mother, and to raise passionate, interested learners?” Do you desire to be a part of a beautiful online community? Try Schole Sisters! "No matter how many compliments we receive, we all know what we're really like when no one is around. But what if we could take these compliments and simply say, this too is a part of who I am? What if, instead of comparing your days and letting your worst invalidate your best, you held up your best days as shining examples of the self you are trying to become?" What adventures and happiness are you embracing this summer? Sometimes you scare me. I can't tell you how many times I have been thinking something (or have come across something I found to be inspiring) only to have you mention the very thing in your next blog post. It is CRAZY. I totally came across that adventure/inconvenience quote just last night and thought- wow. That is GOOD. Thanks Heidi...I needed these reprimands today! Despite the curse, we do really have wonderful lives in Christ. So thankful for your online fellowship and shared beauty. 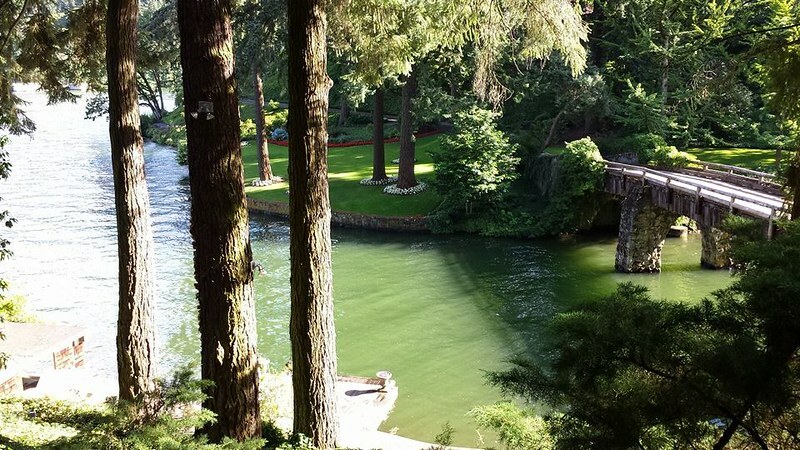 That photo from Lake Oswego is a vision of heaven for me. I may need to post that on my Tumblr with credit of course. Just wow!